Verdict: After a decade since her last album, Stefani is finally back in the pop scene. While the production and lyrics on “Truth” are objectively good, the album as a whole would better fit in 2005. The pop scene has been growing rapidly without Stefani, and it seems to be leaving her behind. 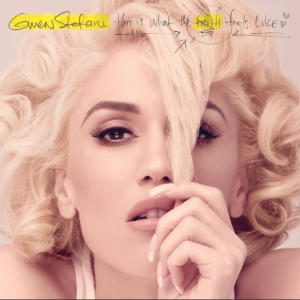 Gwen Stefani was set to release her third studio album back in 2014, leaving fans wondering what happened to the final product. The original singles, “Baby Don’t Lie,” and “Spark the Fire,” both flopped on the charts, forcing Stefani to postpone the album. The album gives an insight into Stefani’s struggle following the end of her 13 year marriage to former Bush frontman, Gavin Rossdale. The emotionally charged first single, “Used to Love You,” hit hard with fans at the MasterCard Priceless Surprises concert, where it was first released. The first note, which is bent and looped, creates a haunting intro, setting the song up perfectly for its hard-hitting lyrics. The music video, released three days later along with the studio version of the track, throws a softer punch. It focuses on a medium close-up of Stefani in a dark room as she goes through an emotional struggle, and, while Stefani is an excellent singer, she’s not an excellent actor. There are parts of the video that tug at the heartstrings, but mostly, it’s three minutes of watching Stefani shift around in a dark room. The second single, “Make Me Like You,” released on Feb. 12, does a complete turnaround. The track is upbeat and snarky, a track dedicated to Stefani’s new boyfriend, Blake Shelton. Although the lyrics do allow Stefani’s personality to come through, the backing music is average at best. Stefani played it safe, with nothing to set the track apart from other feel-good pop songs. In fact, it feels almost outdated, giving off a “Great Escape” era vibe. However, Stefani did take a huge risk with the music video, which was recorded live at the Grammys. Even the video is a throwback to retro beauty parlors and skating rinks through elaborate sets all constructed on the Grammys stage. Stefani described her album as “very sarcastic and kind of dark, mad, and angry,” to Entertainment Weekly. The sarcasm and anger definitely come through in the tracks, making the album emotional and cathartic for Stefani and her fans. The album is a solid step forward for Stefani, both in her personal life and musical career. Unfortunately, it’s not quite the jump fans were waiting for after her last album.